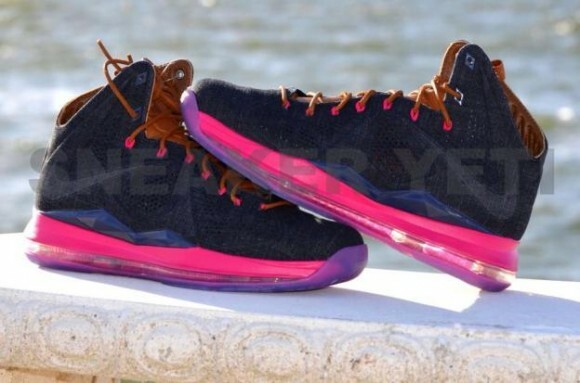 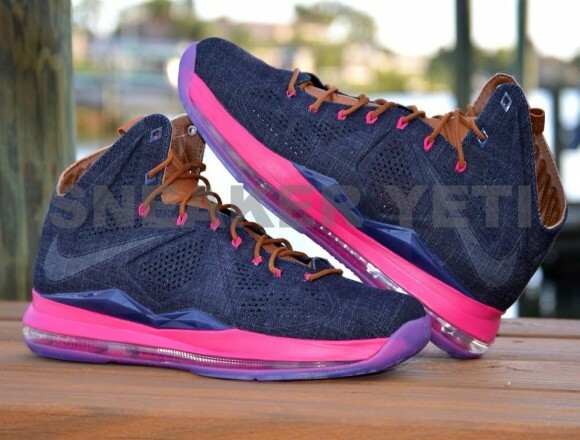 Quality images surface today providing us with our best look yet at the Nike Sportswear "Denim" LeBron X. 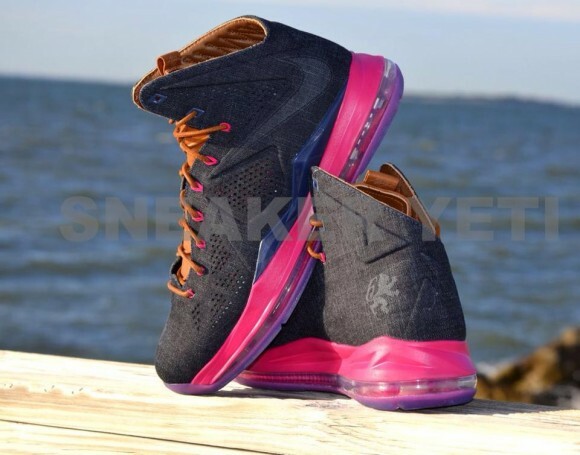 The off-court LeBron X follows up last month's release of the ce;ebratory "Cork" version, utilizing a lifestyle-driven full denim build. 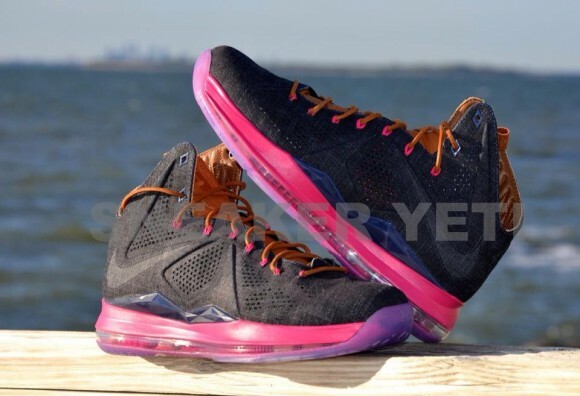 Premium brown leather builds the tongue on this latest LeBron X by NSW, working together with wax laces and hot pink accents throughout. 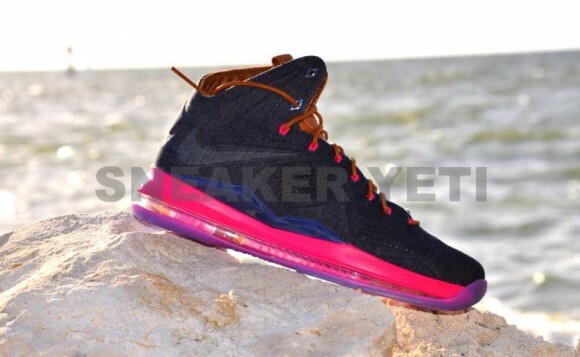 No word on a release just yet, stay tuned to Sole Collector for further details on the NSW "Denim" Nike LeBron X.